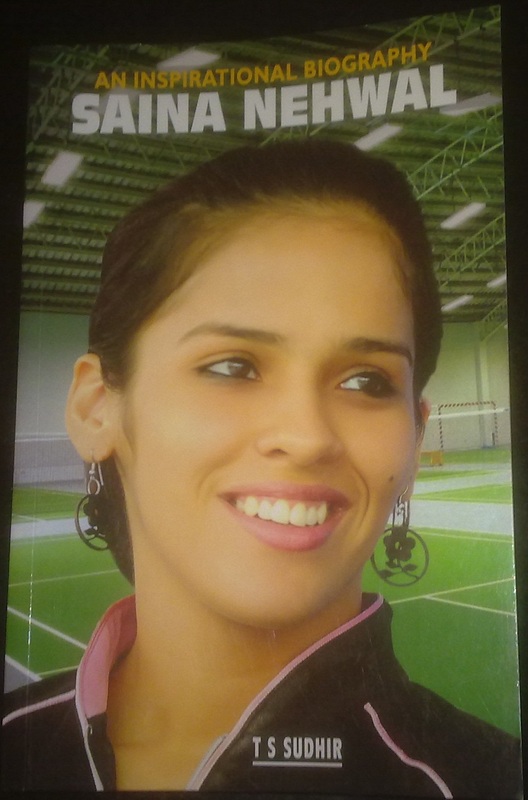 Badminton Galaxy: Review of "An Inspirational Biography - Saina Nehwal"
Review of "An Inspirational Biography - Saina Nehwal"
A non-technical book that I read after a long long time. This book has 231 pages and is from NIMBY BOOKS (ISBN: 97881-906570-3-7). Simple English and an easy read. Good to read about Saina's childhood and how her parents put in lot of their effort to help build Saina's career. Even though it is a book about Saina, it was great to know about Gopichand and his All England victory. The details around this victory was good. Gopichand is one of my all time favourite player. Was nice to read about the strong commitment, focus that Gopichand had during his days as a player. I have seen his match against Peter Gade and Chen Hong on YouTube leading to All England victory. Truly superb matches. The way Gopichand held the shot and played it at the last moment with deception against the then world's top and deception king Peter Gade is worth watching. The amount of commitment and seriousness he has towards running his academy is nicely detailed. I admire Gopichand’s temperament. One full chapter in this book is dedicated to Gopichand with the heading "THE ROLE MODEL". Details on some of the matches that Saina played and what she went through during those matches was good. Details of Saina's training are mentioned here at a very minimal level. Reason for decline in her performance in start of 2011 and why she changed her coach in between to Babu is mentioned in this book. Overall a good book to read for someone who loves badminton and is fan of Saina and Gopichand. There is another book by Saina called "Playing to Win" published recently. Planning to buy this book next. Then there is another book by Lee Chong Wei with the title "Dare to be a Champion". That would be the read after "Playing to Win". Then there is a book by Peter Gade , currently only in Danish, English version is supposed to be out in January 2013. Not sure if Lin Dan has already or has a plan to publish a book with his badminton story.